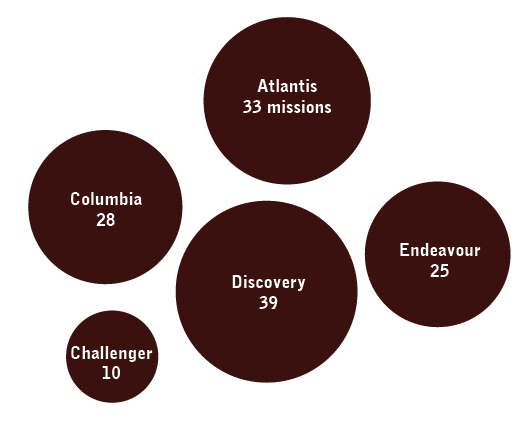 NASA flew more than 130 space shuttle missions since the vehicle went into orbital use in the early 1980s, and today the agency wowed many in D.C. with a landing at Dulles International Airport. (Yes, they are making poor Discovery commute in to the city from Dulles). 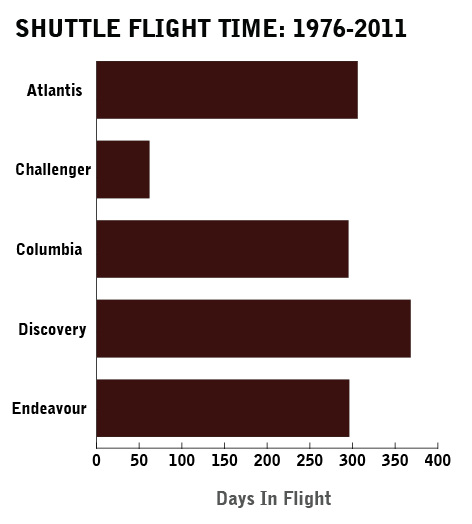 Together, the shuttles have spent more than 1,300 days in flight.